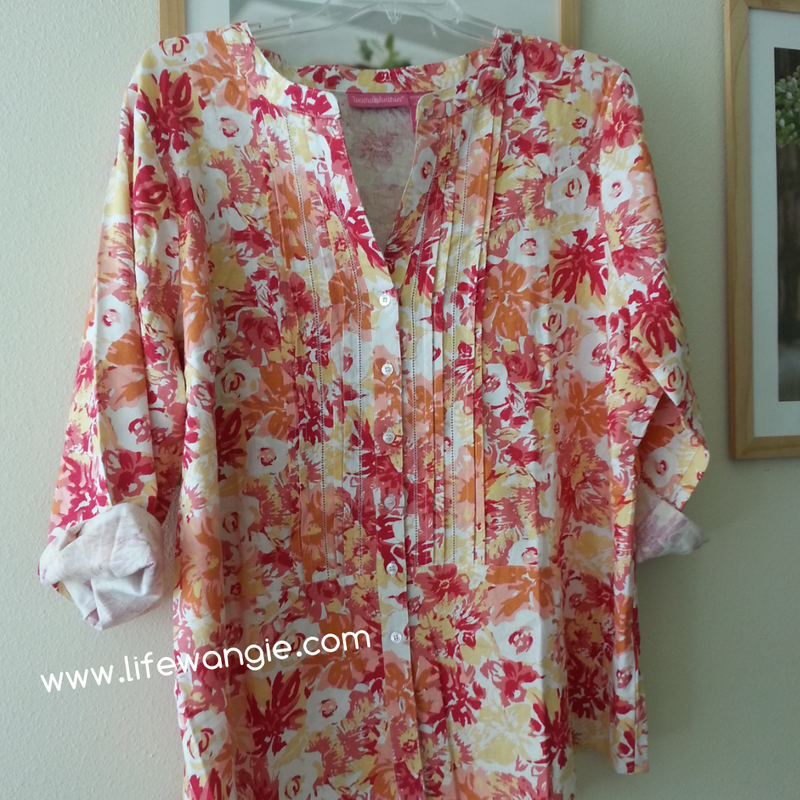 By the way, it's crazy how OneStopPlus has this styled so frumpy on their site, but in person it's a pretty cute shirt. I'm going to wear it with white jeans. I wanted to do a fun manicure to go with it. 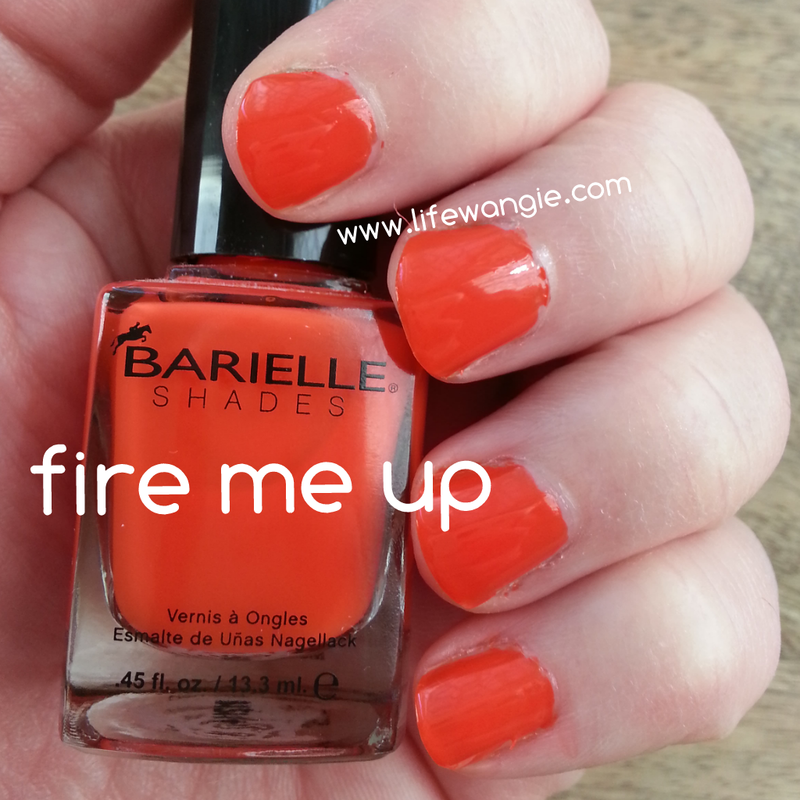 So I started with Barielle Fire Me up. 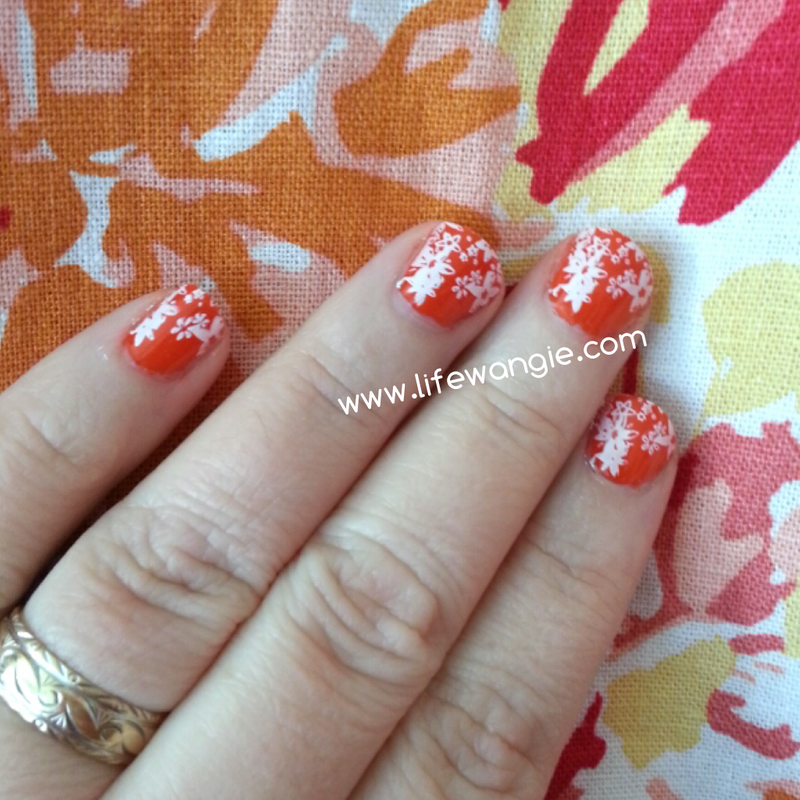 I do a base coat, two coats of the color, and a top coat before I start stamping. I actually got my Barielles from a contest run by another blogger: Color Sutraa. This color is kind of a hot coral shade, close to orange but not quite. 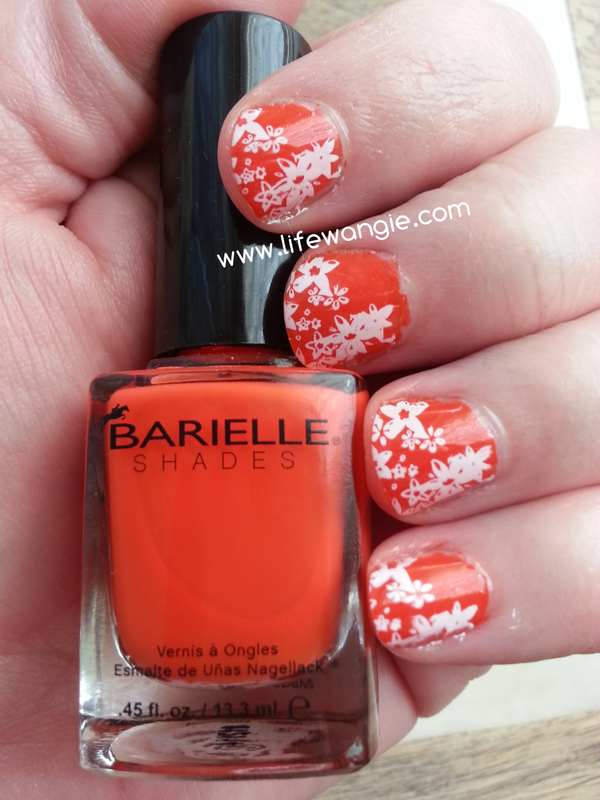 Then I stamped on top using MoYou UK Pro Collection 04 and Sinful Colors Snow Me White. I really like how this turned out! It goes pretty well with the shirt, too. The coral in the shirt is a bit more pink, but close enough.